Here's the official description of the game, straight from Nintendo: "Game Freak, the developer of the Pokemon series, has created a new RPG for Nintendo Switch". 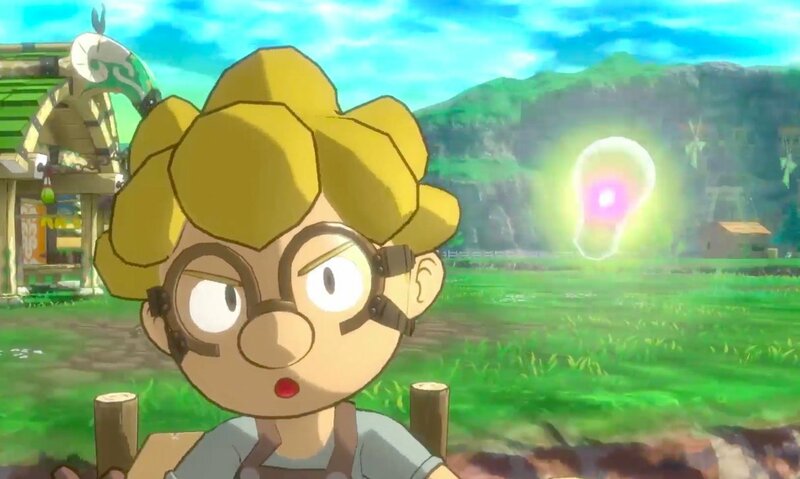 During today's Nintendo Direct presentation, the developer revealed Town (title pending), a new role-playing adventure where you find yourself facing off against all kinds of monsters in a village. Such as it stands, though, Town tells the story of a village that is under siege by various monsters. The entire game is said to be set within this one town, with what looks to be a turn-based battle system. From the footage shown, a character named Nez - or Nezu - appears to have the ability to use ideas and concepts (depicted as a light bulb) in combat. Game Freak could later change the name from Town to something else entirely as it is just a working title for the time being. In order to save your town, you'll need to work together with fellow villagers to fend off the hoard of Monsters, all the while uncovering the secrets of the small town. Town is planned to release in 2018 exclusively on the Nintendo Switch. But it's certainly quality over quantity, so we're best waiting to see what Game Freak has in store.